Here's one more adorable Christmas theme stamp for this summer celebration of Christmas stamps from Queen Kat. This adorable image comes from artist Sandra Caldwell. I am showing this image in two different ways, one in a large format on it's own card. He's so cute in his Santa hat and scarf. 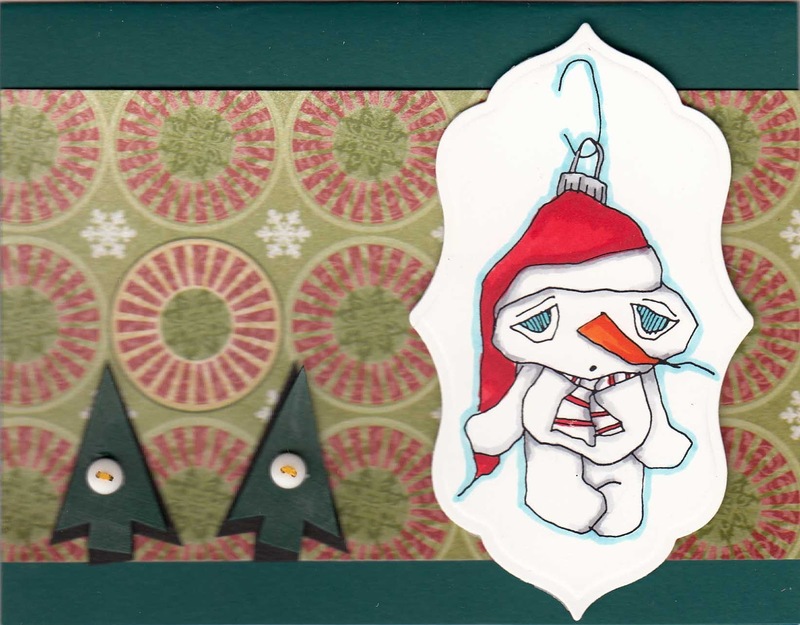 Here, I made the image a little smaller, this is a feature that I appreciate about digital stamps, so I could use the snowman ornament to decorate my own little Christmas tree on this card below. Isn't it adorable? 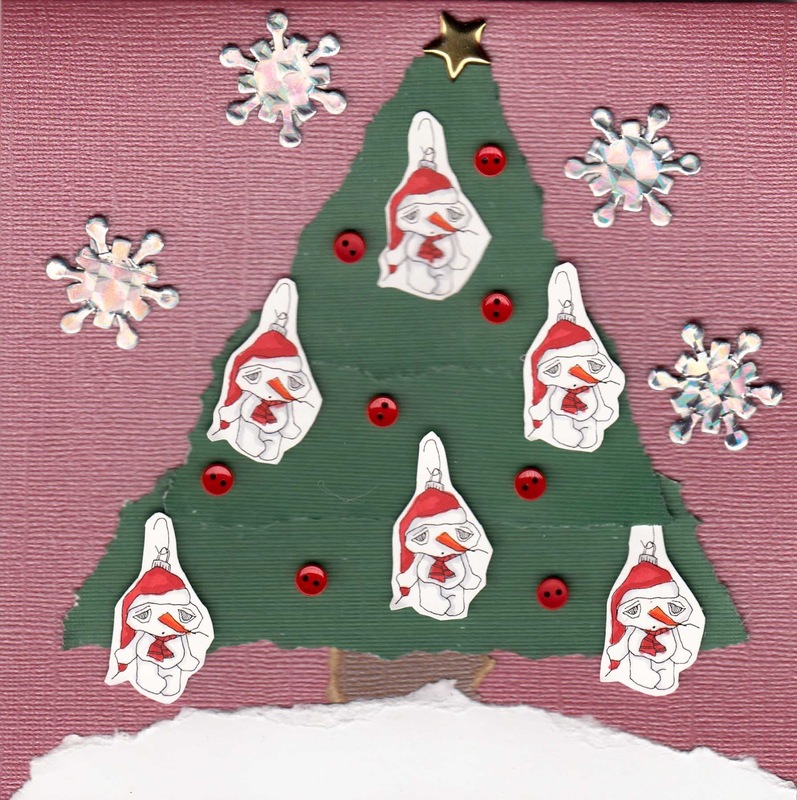 I hope this gives you some great ideas for some quick and adorable Christmas theme cards using these cute and adorable stamps from Sandra Caldwell. Be sure and check out all her great images at Queen Kat. Really love how you used Sandra's images for these cards. 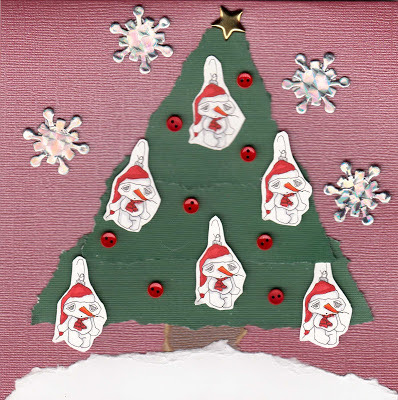 My fave is the second one, all those little snowmen hanging from the tree!! Cute. Yum - A Peppermint Cupcake! Ocean Friends Tag and Sneak Peek!